Kolkata: The West Bengal Consumer Disputes Redressal Commission has held a city-based private hospital and its senior cardiologist guilty of botched informed consent leading to the death of a patient, and ordered it to pay a compensation of Rs 3 lakh in addition to Rs 25,000 as litigation fee to the deceased’s kin. The Rabindranath Tagore International Institute of Cardiac Sciences (RTIICS) and senior cardiologist J. Naik, working for the hospital in 2009, were found guilty of medical negligence and mismanagement, in a case of follow-up coronary angi gram (CAG), leading to the death of a retired Commander of the Indian Air Force, Robin Verma. The top consumer court of the state ruled that there was “deficiency in service and negligence” on the part of the institute and the doctor. The complaint was lodged by the deceased’s daughter Jayeeta Verma Sarkar. She had claimed Rs 85 lakh for “gross negligence” by the hospital in treating the patient, resulting in his “death”, and penal damages of Rs 10 lakh. The court noted the complainant is entitled to get the compensation of Rs 3 lakh and a litigation cost of Rs 25,000 within 45 days from the date of the ruling, failing which 9 per cent interest would be added to the amount. Verma was suffering from heart disease. He developed some respiratory problem and chest discomfort and underwent treatment at two other hospitals before being admitted to RNTIICS for CAG. The court agreed that in the consent form at RNTIICS the columns for ‘patient’s signature’, ‘date’, ‘time’ have been left blank. The opposing parties contented that the risk factors were explained to the patient in details, but, the final court order said, from the consent form there is no mention that the doctor or any member of the surgical team explained the risk factors to the patient. “Moreover, the condition of the patient started deteriorating after CAG from 5.20 p.m. and at 7.30 p.m. the patient expired. 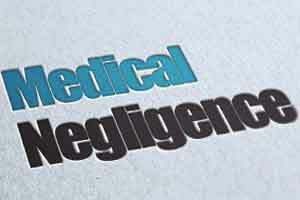 It indicates that the post-CAG complications could not be managed by the OP doctor,” the court said. According to Kunal Saha, a US-based doctor and activist against medical malpractice, the judgment will have significant impact on the issue of informed consent which is a mandatory requirement for all doctors before performing any medical or surgical procedure. According to a top official of RNTIICS, the intentions of the institute and doctors are always to keep the patient hale and hearty but the outcomes are not always in their hands. “The outcome was not as desired but that doesn’t mean we did not do the right thing. We rendered the treatment that was necessary. The proper consents were taken. The court has ordered a compensation of Rs 3 lakh against the claims of Rs 95 lakh. The judgement is based on the clinical outcome. The judgement is partial in the sense they wanted to close the case as a balancing judgement,” an official told IANS requesting anonymity. Feel sorry. But it is a fact that many busy doctors don\’t care for the same. They all believe too much on the patient party. But sir, we all have to follow the rules and regulations. AND taking consent from PATIENT in a proper consent form is a must. We should not forget that, consent is an undertaking where both parties has to sign. A) Obtained by ward nurses and ward Drs, and the Dr performing the procedure or surgery, is rarely involved in the process. I am yet to see a single Consultant signature on the consent form. B) We always assume (wrongly) that the signature of the relative is acceptable. This is incorrect. The patient must sign himself/herself, unless that is not possible due to conditions like extreme old age, comatose condition etc. It seems both the above were violated in this case: patient did not sign, and Cardiologist did not sign !! 1.Doctors are slow to imbibe the importance of their documentations . Advocates take advantage of this deficiency. 2.Senior doctors In a hurry to finish their hectic clinical schedules depend on their junior doctors and result is poor documentations. Is it the consent which is all important?All efforts done by a doctor or hospital team are worthless.It means paperwork is more important than patient\’s care.Mera Bharat Mahan. In properly assessed cases death in CAG was mentioned to be 1 in 7000, way back in yr 2000. Since routine use of non-ionic dye and progress in technical experience it has gone further down. Was it just a CAG or it was followed by coronary angioplasty in the same sitting, where such death is little higher in number. Currently after doing the angiogram if it is found essential to perform angioplasty, patients relatives are called explained the need by showing the Angio-CD and additional consent is taken if they agree. This is practically a international practice. But there is column in the consent form where the cardiologist also has to sign confirming case has been explained. In many cases the Cardiologist who is still has his gloves on, does not complete the formalities. Practicing this since 1984, I have also perhapse performed such mistakes on occassions, did not face such situation after having a successful outcome of the procedures. Consent is absolutely important. However good our intentions are we have to get it. I had to unscrub to explain to the relatives why I have to convert a debridement of the leg to a below knee amputation during surgery. I didnt have a second surgeon opinion, nor the patients sign as he was under on table. However I video recorded everything and the verbal communication to the patient and got the sign of his wife and son. I included all this in my operative notes. As usual there were mischief mongers and local politicians who tried to make a mountain of this issue and when I was threatened I played the video and showed all the records and they had to back off. Fortunately since the patient did well and walked with his prosthesis and was ever grateful I was not harassed further.